Months after embarking upon a jaw-droppingly scenic trip across the Pacific Northwest in the all-new Nissan Rogue Sport, I find myself revisiting the little miscreant once more with an enthusiast’s eye. Perhaps it was Nissan’s badass Star Wars display booth at the Los Angeles Auto Show, or the epic cinematic saga that is set to unfold on the big screen later this month, but I find great promise in the direction this automaker has taken with its Rogue line. Whatever the reason, I admire this little runt of a CUV. Not just for what it is, but for what it could be if pushed to the extreme. It’s no secret that Nissan has failed, nay, refused to produce a dedicated hot-hatch over the years, instead opting to focus its performance inclinations on the Z line, as well as on the almighty GT-R.
Whatever the reasoning, American interest in hot-hatches is currently at an all time high, and the Nissan brand could easily capitalize upon a rambunctiously revised version of the Rogue Sport. All of the pieces are there for the taking, may they be present in the Infiniti brand or within another chassis. Here are seven reasons why a NISMO Rogue Sport would be a solid idea. This CUV oozes with Euro hot-hatch inspiration, and for damn good reason. 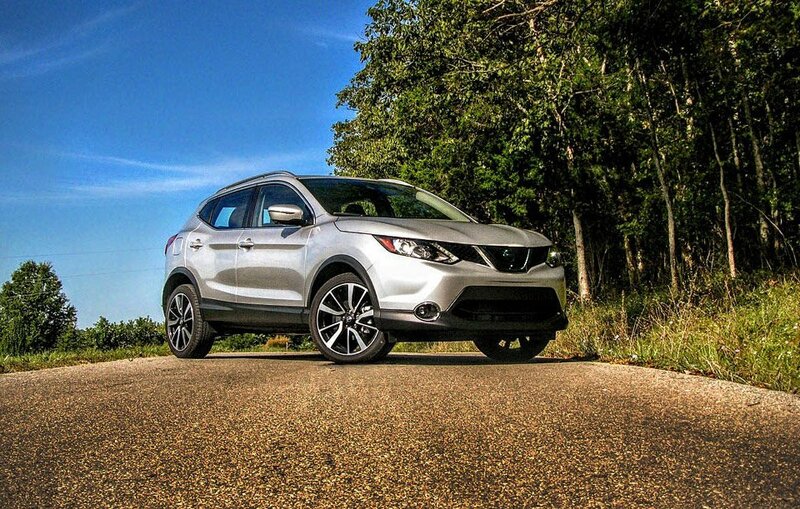 America has basically received a re-badged version of a crossover that has been in heavy circulation internationally under the “Qashqai” name, a vehicle packing a 2.3-inch shorter wheelbase and 12.1-inches less length than the regular Rogue. Tighter and almost a full 6-inches lower than its full-size sibling, this version retains an almost identical width and track to the larger model, making its already rigid frame that much more ripe for revision. With its independent front strut setup, and equally independent rear multi-link design, the Rogue Sport features a drive feel that is comfortable and quiet when equipped with meatier tires. But hot-hatches are bred to bound around corners, and for as stiff as this CUV’s skeleton is, it still needs a lot of love in order to get it up to snuff. 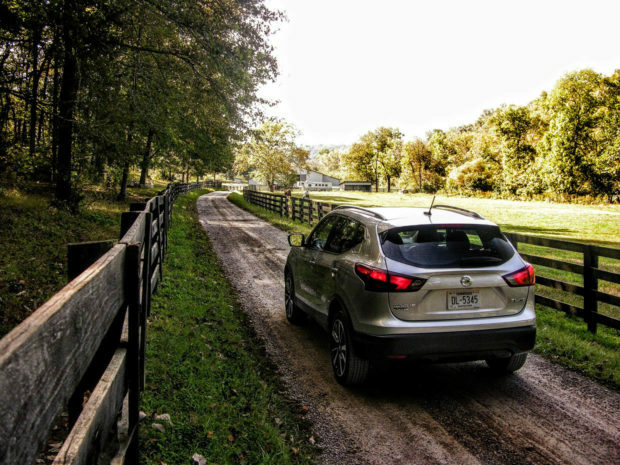 With the appropriate set of adaptive dampers sitting alongside additional strut bracing and larger sway bars, the already taught frame of this CUV could easily be made stiff enough to stand up to the competition. 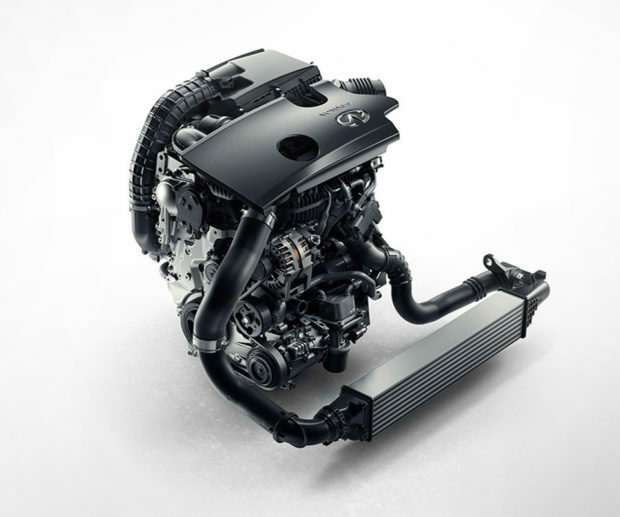 Last year, Infiniti announced plans to introduce something called “variable compression technology” in vehicles starting in 2018. The revolutionary 2.0-liter design allows the vehicle’s computer system to optimize ratios anywhere from 8:1 to 14:1 on the fly, thus negating a lot of the efficiency and turbo-lag woes commonly associated with forced induction engines. According to the automaker, fuel economy averages are also 27% better than the V6 engines it will be replacing, all in a package that is a fraction of the size/weight. Reportedly offering around the same amount of force as the 370Z Heritage Edition we reviewed this year, but with the torque curve of a diesel, this turbo option truly is a “best-of-both-worlds” powerplant. 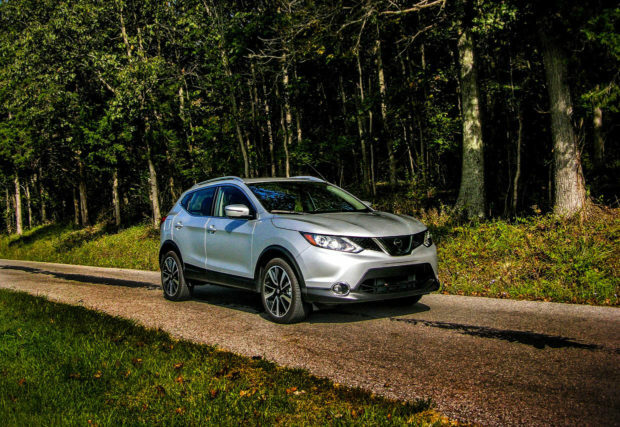 Such a compact 4-banger would likely be small and light enough that it could be shoehorned into the Rogue Sport’s engine bay without issue, subsequently rocketing the little CUV into 300+ horsepower hot-hatch territory. Although some critics have come across traction issues in the Rogue Sport, I remain confident that the addition of Nissan’s “Advanced Total Traction Engineering System for All-Terrain” (ATTESA) would remedy any wheel-spin woes. Commonly found on the Godzilla-like GT-R, this torque vectoring system has been around for the last thirty years in various stages of advancement, and even has aided front-wheel drive automobiles in the past. By utilizing the traction smarts they already have on file, Nissan has the ability to turn the modest AWD setup on the Rogue Sport into a road-gripping goliath. So what if it adds a few grand to the car’s sticker value? With such a modest starting price, there’s plenty of room to play in this CUV when it comes to upgrading the performance end of things. 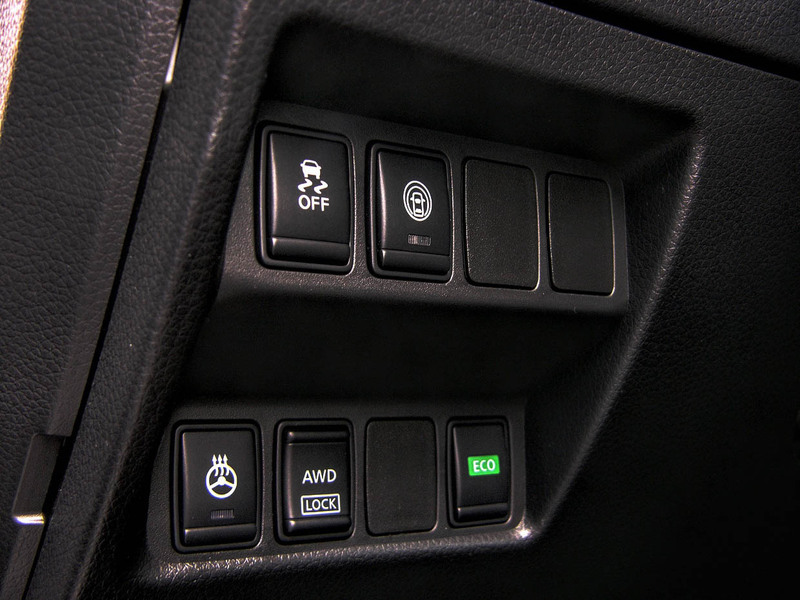 The interior of this crossover is an aspect of the Rogue Sport that is pretty close to being ideal just the way it is. OK, so maybe some deeper bucket seats with better bolstering and a fatter steering wheel wouldn’t hurt, but that’s about it. 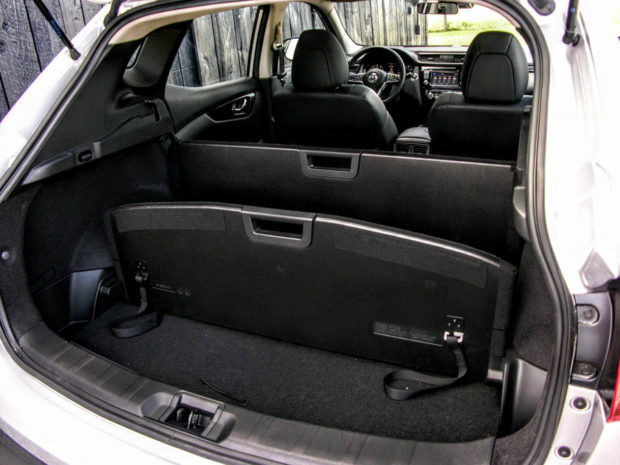 Stylish, sporty, spacious, and more practical than a Leatherman multi-tool, the appeal of having a fast hatchback that can serve double-duty as a daily driver is the prime reason why this article exists in the first place. Nissan has virtually nailed it in the interior department with this one, and with the right sport pedals and NISMO stitching would make for one outstanding interior. “Ricers.” This derogatory term has been around for a hot minute now, and quite frankly, it doesn’t bother me one bit. Commonly used by Americans to describe people who enjoy modifying Asian automobiles, this nomenclature is even applied to owners of bone-stock OEM machines. I say let them laugh. 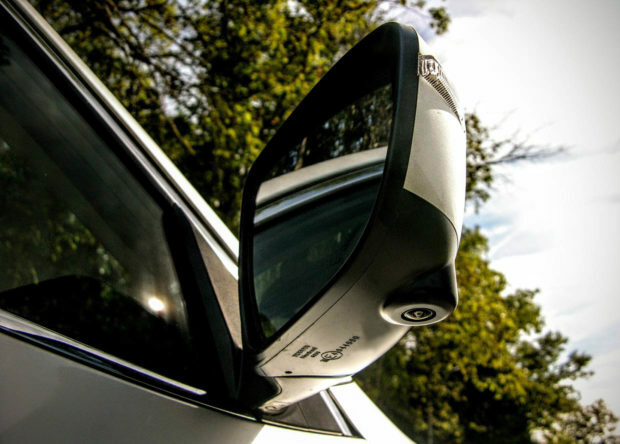 If a vehicle looks and performs like a hot-hatch, you likely have something that will outperform the average car on almost every level, both in regard to performance and practicality. Tack-on the fact that a base Rogue Sport starts at just over $21,000 and you have good reason to cackle in the face of anyone who thinks you made a poor decision. Sure, a hot-hatch variant will likely tip the scales to the tune of an additional twelve grand or more over this starting price, but that’s fine considering how much value you would get for that amount of moolah. One of the primary reasons the Rogue Sport would make such a fine hot-hatch is its undeniable appeal. Small but not microscopic, wide but not bulbous, and bubbling with all manner of attractive line and accent, this is what the Juke should have been when it was first released. Add in a more aggressive aero package and a raked rear wing, some wider 19-inch alloys, and lower the vehicle’s overall ride height in order to eliminate wheel gap, and you have one snazzy hatchback on your hands. Heck, maybe even add a vented hood up front and a dual port exhaust out back for good measure. 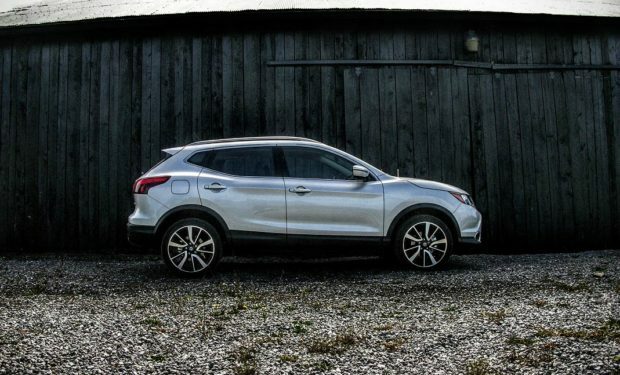 Lastly, and perhaps most importantly, is the fact that Nissan has already outfitted the Rogue Sport with an outstanding array of optional features. 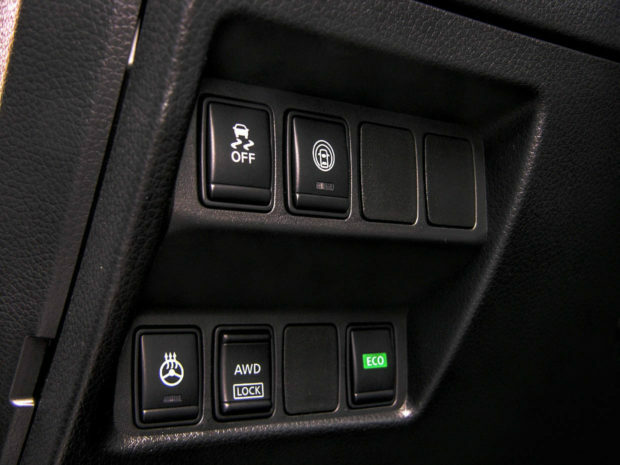 While many critics would like to see things like the 7-inch center touchscreen upgraded to a larger size with better graphics and Infiniti-grade features, the components found elsewhere on this vehicle easily offset these downsides. By including things like forward emergency braking, cross-traffic alerts, and 360-degree camera views, Nissan can offer additional safety features to a machine that is both fast and functional for daily use. And speaking of clutches, while mating a manual gearbox to the aforementioned VC-T engine will likely be a chore, having Exedy as their provider of all things stick shift is only going to help Nissan’s cause. After all, it’s kind of an unspoken requirement that hot-hatches pack a plucky manual transmission in the first place.